Take one pan heat oil . Add Cumin seeds , chopped green chilli , besan , turmeric powder saute for 1 to 2 minutes. Add 1/2 cup water. Add Coriander powder , cumin powder , salt and mix well .Cook For 5 minutes. 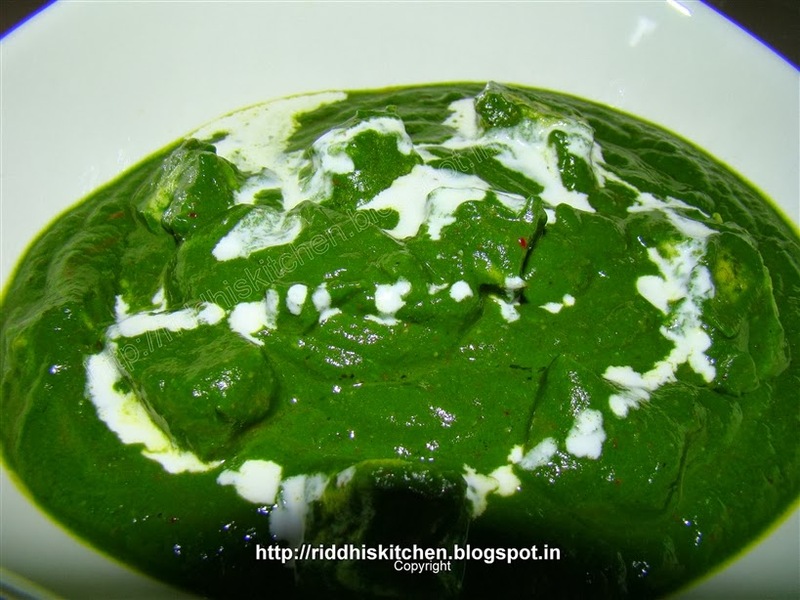 Add Palak Paste , 1/2 cup water , mix well. Add Garam masala , red chilli powder and paneer . cover the lead and cook for 3 to 4 minutes. Add Cream , mix well and cook for 1 minute. Switch off the flame . Add Lemon juice and mix well .